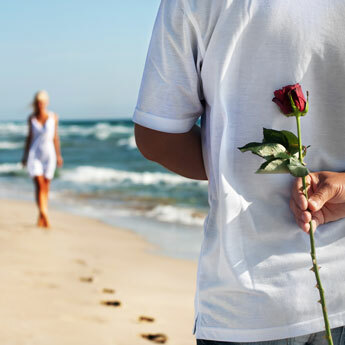 The cost of getting hitched has sky-rocketed in recent years, with the average Brit's “big day” now rumoured to cost in the region of £18,000, and that is before the honeymoon! 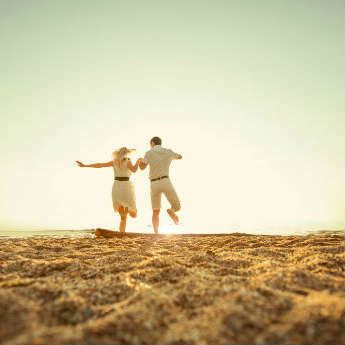 In an ideal world, every newlywed couple would be able to afford to fly off into the sunset on a private jet, to a remote tropical island following their special day, but that doesn’t mean that the reality has to be any less spectacular! Prepare to be amazed by the icelolly.com lust list of affordable honeymoon hideaways! 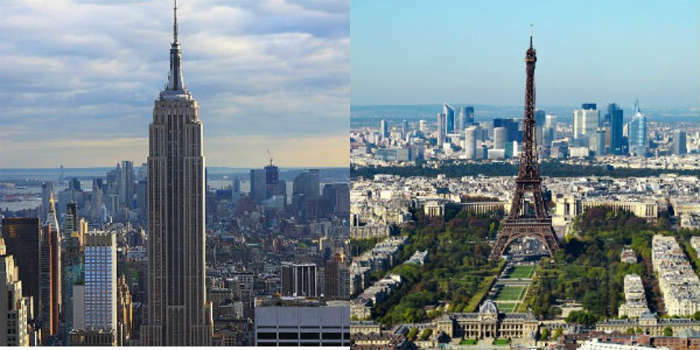 Can you tell which one is which from these photographs? Antigua vs. Olu Deniz, Turkey. Unspoilt white beaches stretch as far as the eye can see along Antigua’s coastline. One or two luxury hideaways lurk amongst the trees where honeymooners can enjoy secluded one on one time together... However, you can find pristine white sandy beaches and sparkling blue waters, at a fraction of the price, in Turkey’s prestigious Olu Deniz resort. Cancun, Mexico vs. Playa d’en Bossa, Ibiza. Sun-drenched beaches, warm crystalline water, and luxury night clubs and hotels, the Cancun has long been a favourite amongst honeymooners whose idea of paradise combines comfort with cocktails (lots of them!). But why bother with the long haul flight when you can find the same experience just 2 hours from home on the White Island of Ibiza! Party ‘til the sun comes up before crashing into your presidential suite at one of Playa D’en Bossa’s exclusive 5-star resorts. 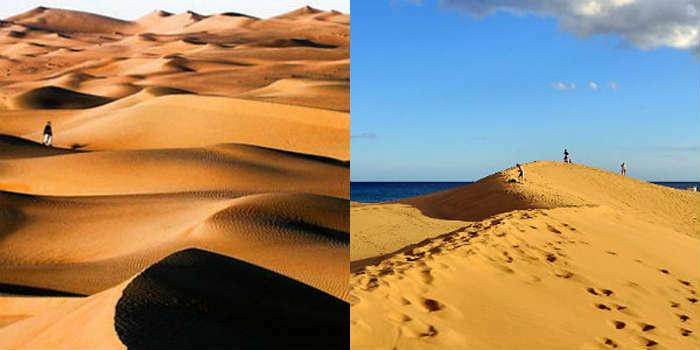 Dubai vs. Maspalomas, Gran Canaria. The definition of all that is luxury, with its towering hotel complexes and endless sand dunes, Dubai has made quite a name for itself as the go-to honeymoon destination of the glitterati elite. However, you can enjoy the exact same experience on a quarter of the budget in the gorgeous resort of Maspalomas in Gran Canaria. Las Vegas vs. Royal Caribbean Cruise. The Maldives vs. Red Sea Riviera, Egypt. We have all drooled over the photographs of the pure white beaches and crystal clear waters of the Maldives, but there is more to these paradise islands than meets the eye. Stunning coral reefs lie beneath the turquoise waves, making the Maldives the perfect destination to try a spot of scuba diving on your honeymoon. 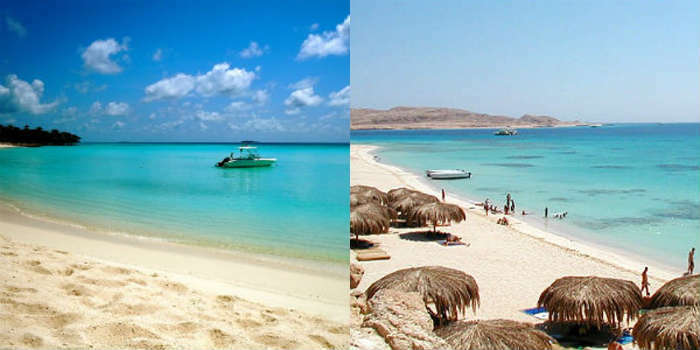 If these far flung shores prove too pricey however, why not try Egypt’s Red Sea Riviera? The shores of Sharm el Sheikh boasts some of the best reef diving this side of the Atlantic. 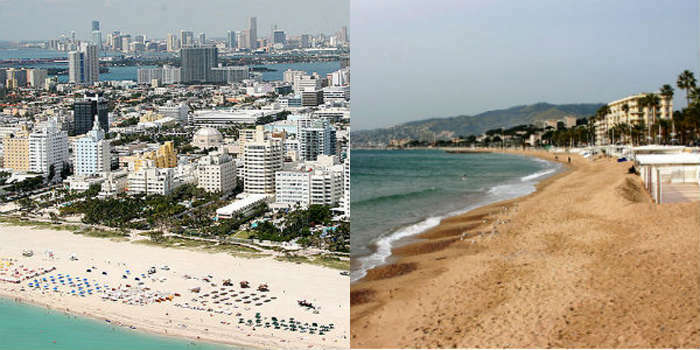 Miami Beach, Florida vs. Cannes, France. Bored of your other half already? Fancy trading them in for a richer model? (We’re kidding, of course!) Miami Beach is renowned as the hang out spot of the rich and famous, but you’re just as likely to spot yourself some celebrities on the glorious beaches of Cannes in the south of France! By the time you’ve soaked up some sun, there will be no need to reach for the St. Tropez! The Seychelles vs. Zakynthos, Greece. The tropical climate and gentle ocean currents of the beautiful Seychelles have made the islands a haven for sea turtles. There are very few places in the world where you can get up close and personal with these increasingly rare creatures, however, if you would rather stay closer to home on your honeymoon, Zante in Greece is also a well-known destination for turtle spotting! 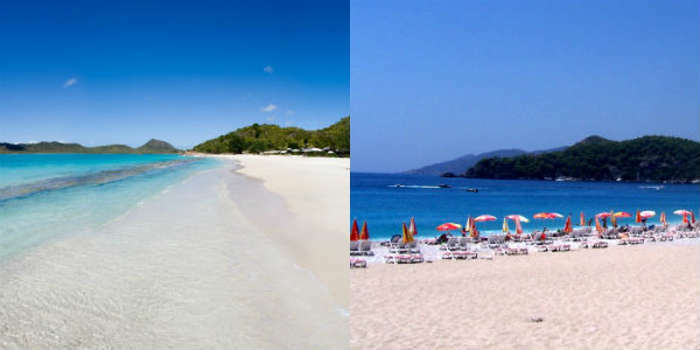 St. Lucia vs. Goa, India. Towering green mountains give way to soft powdery sands and turquoise water on the paradise island of St. Lucia. 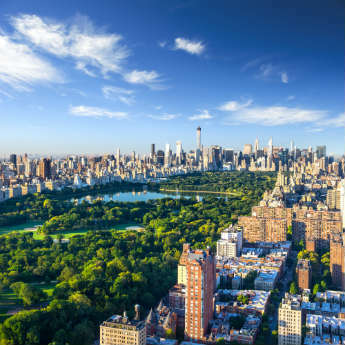 Regarded as one of the world’s most popular honeymoon destinations, you would never believe that there could be anywhere as comparably beautiful. Goa in southwest India however could easily give St. Lucia a run for its money. Deserted golden beaches and almost year-round sunshine, Goa is a hidden gem just waiting to be discovered!